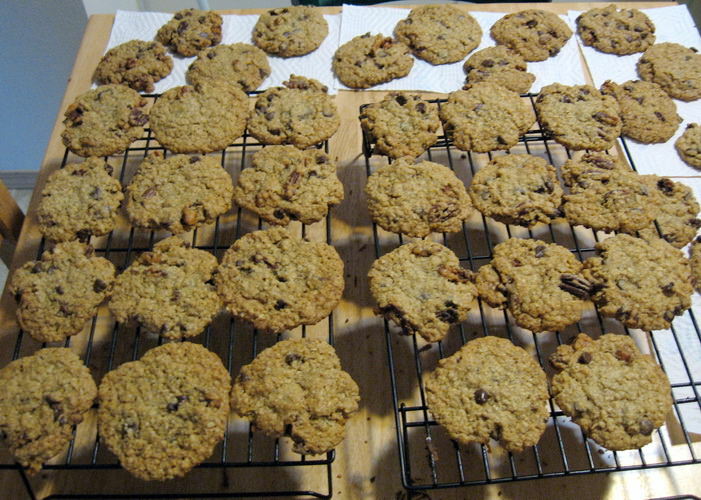 I'm not a wizard in the kitchen, but I do make pretty good pecan chocolate chip cookies. Not this time. My neighbors have all gotten plates of them delivered to their doors. Thank you. Lately I've been substituting coarsely chopped Mexican chocolate for some of the chocolate chips in these, and the cookies have been delightfully spicy.